painting of commercial buildings such as stores and retail shops. painting of the part of a wall that you must not paint beyond. For example, the edge of a wall, of a windowsill or door frame. The edging is done slowly and with a paint brush. painting of exterior sidings made of masonry (brick, stucco, concrete), horizontal wooden sidings, PVC and metal surfaces (aluminum and iron sheets), painting of wrought iron balconies and stairs, garage doors, lintels, cornices, dormers and shutters. level of shine of the paint. A glossy paint is not matte, and a matte paint is not glossy. Glossy paints reflect light better and we can observe more the imperfections and the dirt on the wall. Mattes paints are used for the painting of ceilings. painting of industrial parcs, factories and warehouses. painting of government buildings such as post offices, child care centres, clinics, hospitals, casinos, SAQ retailers and SAAQ centres, churches and government offices. includes the painting of walls, ceilings, concrete floors, interior wooden horizontal sidings, stairs and banisters, windowsills, moldings and door frames. exterior paint whose wash ability is excellent. This means that, when rain falls on the surface, is automatically washed without having to be scrubbed. This paint is hydrophobic, just like a lotus leaf. when a painter talks about minor renovations, he means insulation, caulking, cornice repair, antique door restoration, anti corrosion treatment for lintels and other rusted surfaces, and a lot more. painting mandates for a given city, can include the painting of lamp posts, parking lines, soccer playground lines, etc. residues that stick to a painted wall when we use a low quality roller. 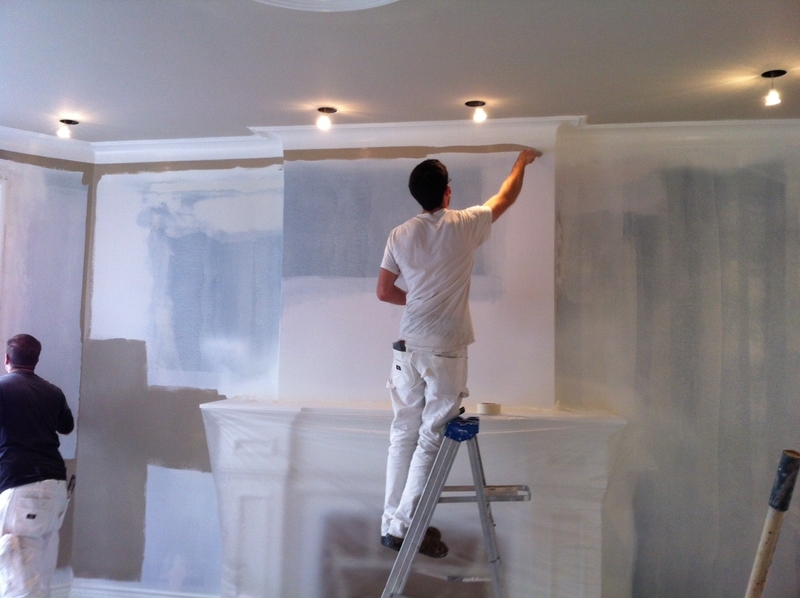 when a painter talks about preparatory tasks to be done before painting, he means plastering, jointing, repairing holes in the wall, sanding any type of surface, stripping, scraping and primer application, when needed. preparatory task done before the painting of exterior surfaces which need to be washed to maximise the paint adherence. Pressure washing is done with the help of a specially conceived tool with high pressure and hot water. painting of houses, apartments, condos and other type of mulch-residential habitations.